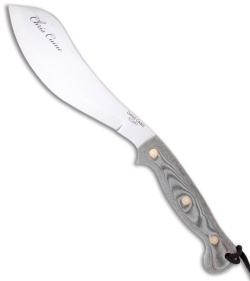 The Chris Caine Companion Knife is 'a survival tool for the serious survivalist'. 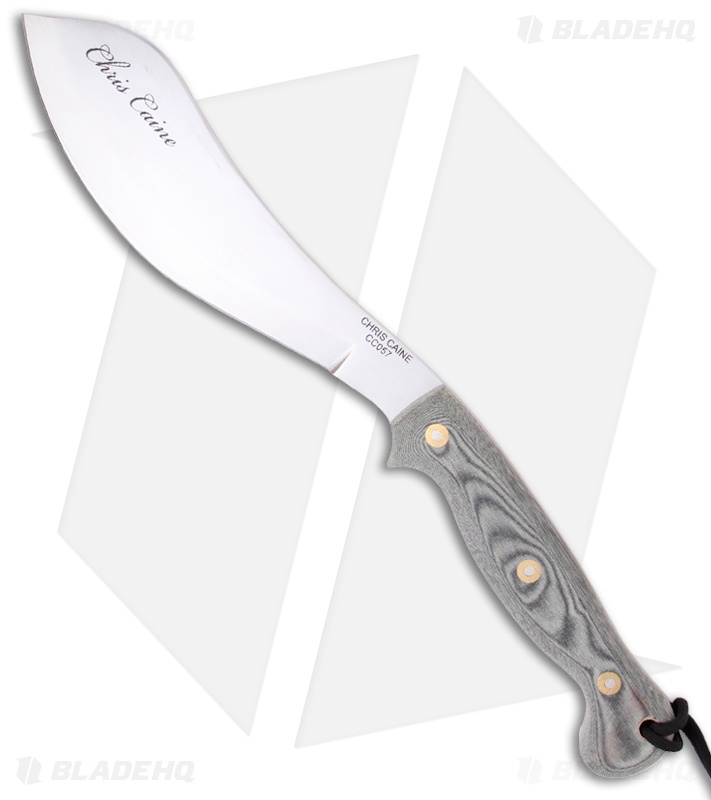 The Companion is the newest addition to the Chris Caine Survival Series and is designed as a mid-point between the larger Chris Caine Survival Tool and smaller Chris Caine Survival Knife. The full tang blade of the Companion knife is laser cut from 5mm thick 1075 Carbon Steel hardened to 52/53 Rockwell. This is a knife that is sharp enough and strong enough to fell a large tree yet at just 16 ounces (450g) it is light enough to be worn on a belt. The blade has a convex grind to allow for a more durable edge, and ease of sharpening. Not only will this tool split logs for the fire but it will also allow you to shave fire sticks with ease. Further back along the blade the spine has been left with a crisp square edge, to allow you to scrape wood in order to obtain a very fine fibrous layer for starting your fire. The handle is made from hard wearing black Linen Micarta and has been designed with three main grips so that the power and control can be altered depending on the job in hand. The standard Cordura sheath is made to a high standard and is fully articulated. 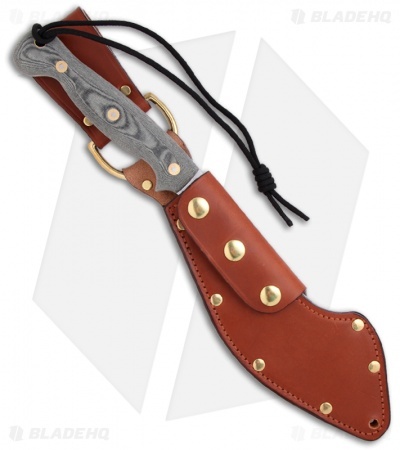 There knife comes with a high quality leather sheath.